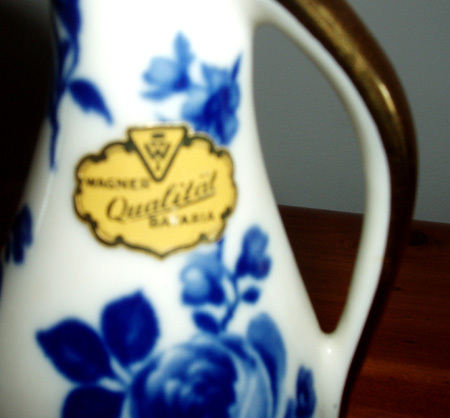 photo 4 Two highly collectible German porcelain creamers in mint condition. 1. Very fine Noritake Keltcraft porcelain creamer with highly detailed paintings of pears and grapes decorating the two sides of the creamer. 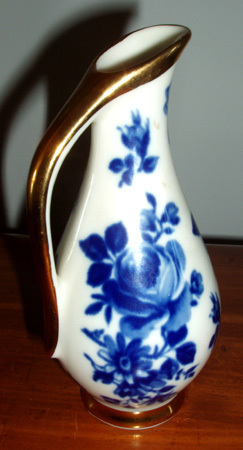 It measures approximately 4.5" high and 2.5" spout to handle and is in excellent condition. It's marked on the bottom with the Keltcraft by Noritake" mark, "Ireland", 9199, and "Nature's Bounty" plus notation that it is "Detergent Safe, Microwave & Oven Safe". 2. 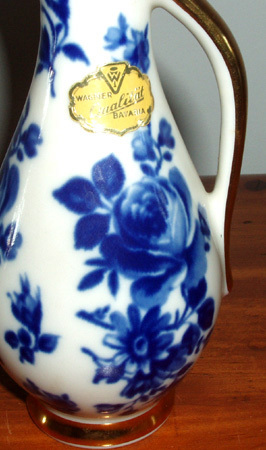 Wagner Qualitat Bavaria porcelain creamer has superb flow blue rose and flower decoration and the original Wagner Qualitat paper label. 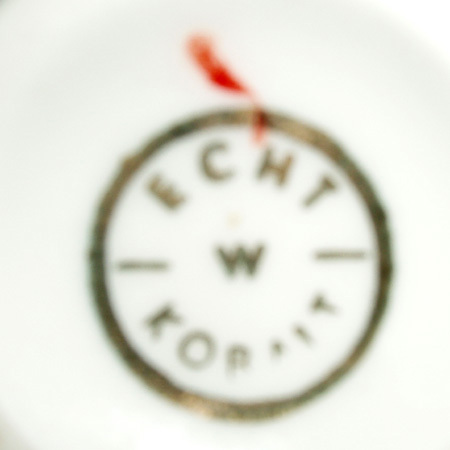 It's marked on the bottom with the Wagner ECHT mark. It stands 5.0" high and 2.5" in diameter at the widest point and is perfect for both home use and to display.